This vacancy position is currently closed. 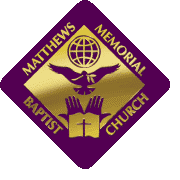 Matthews Memorial Baptist Church is a multi-generational congregation, comprised of over 700 members, located in the Anacostia community of SE, Washington, DC. We are seeking a full-time Senior Pastor called by God in accordance with Jeremiah 3:15, 1 Corinthians 15:58, and Colossians 1:25 who will a) be the spiritual leader of the congregation in accordance with Acts 20:28, b) preach and teach the Holy Bible in accordance with 2 Timothy 2:2; 4:1-2, c) effectively evangelize the community in accordance with Matthew 28:18-20, and d) equip the congregants to become disciples of Jesus Christ in accordance with 1 Peter 5:1-8. The Senior Pastor will be accountable to God and the church to proclaim the good news of the Gospel of Jesus Christ, to teach the Holy Bible, to provide Christian leadership in all areas of the church, and to engage in pastoral care for the congregation. We are seeking a Senior Pastor whose character conforms to the biblical mandate as recorded in 1 Timothy 3:1-7; 4:6, 2 Timothy 3:16-17; Titus 1:5-9, and Ephesians 4:1-32. Application package must be postmarked by Friday, June 30, 2017. Candidates must be willing to submit to a reference check, a criminal history background check, a drug screening test, a credit history check, and provide their Federal 2016 tax return. Application packages will not be returned. For additional information or questions, please submit your request to the Pulpit Committee by clicking here.